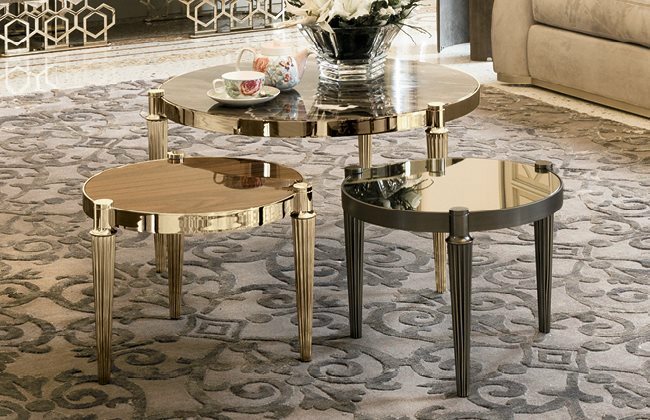 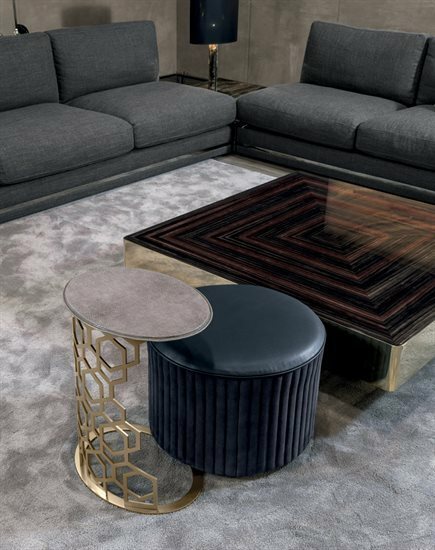 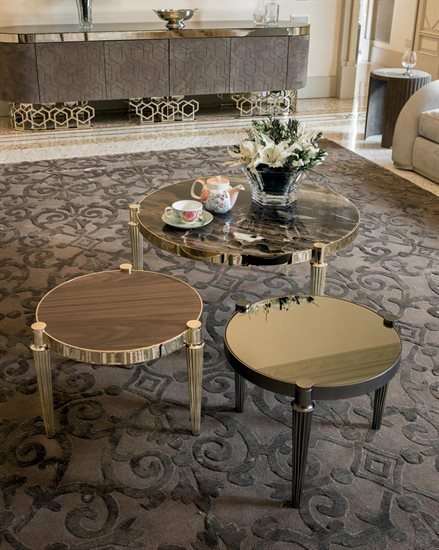 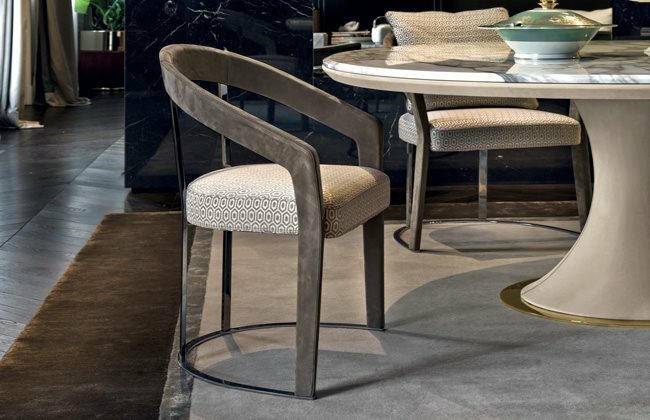 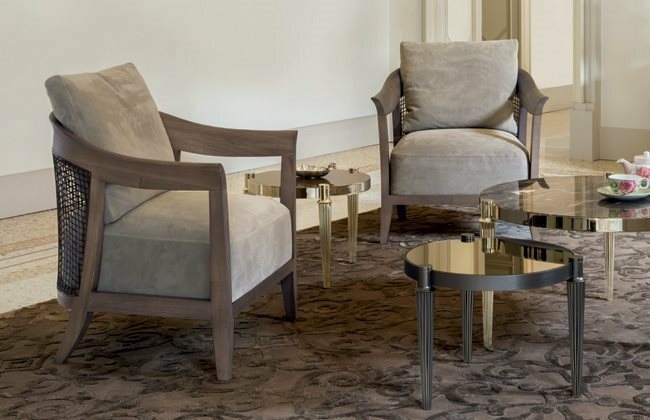 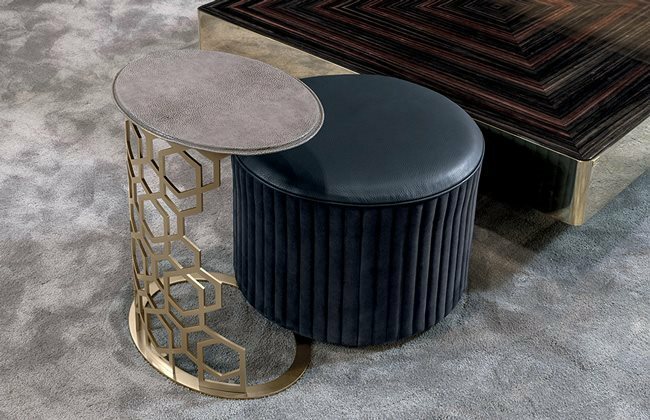 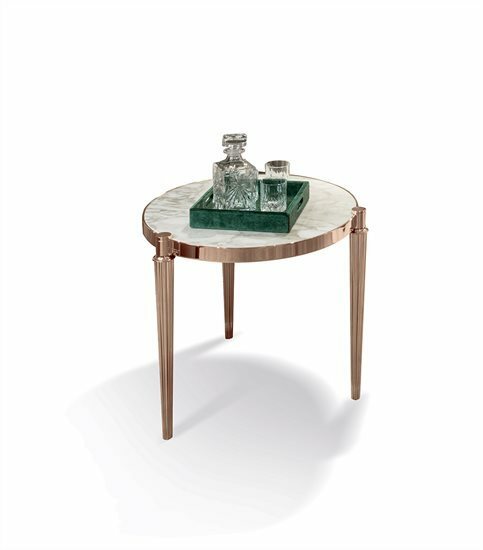 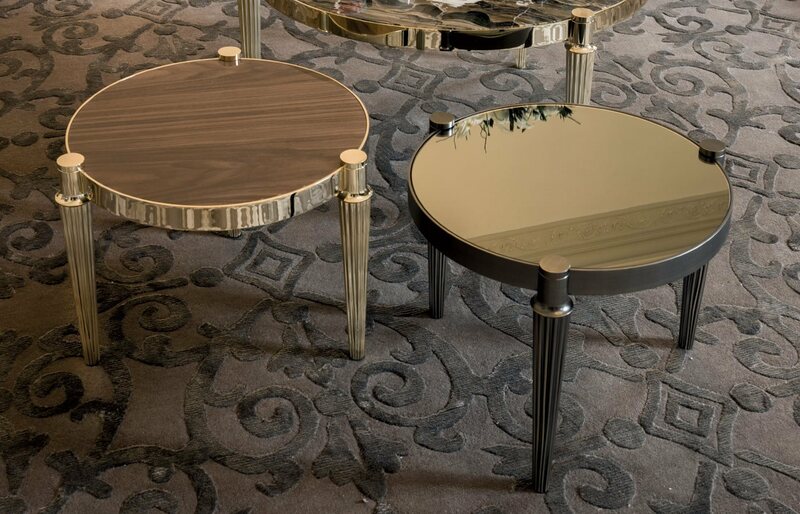 Round small tables in metal with grooved, tapered legs: bright light gold, matt Champagne gold, bright chrome, bright black chrome, matt satined bronze. 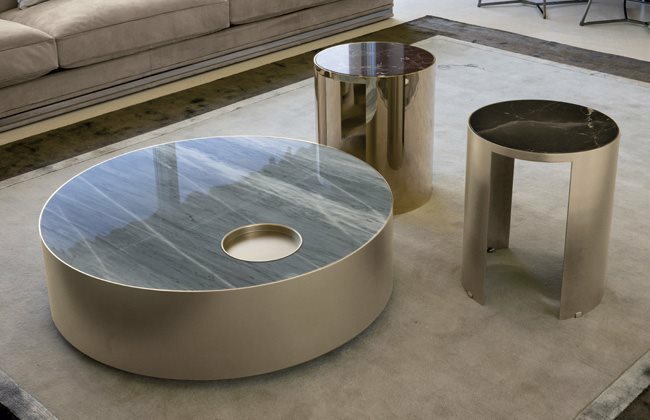 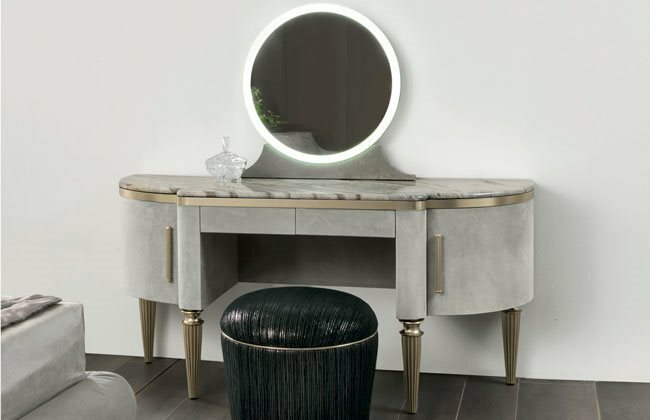 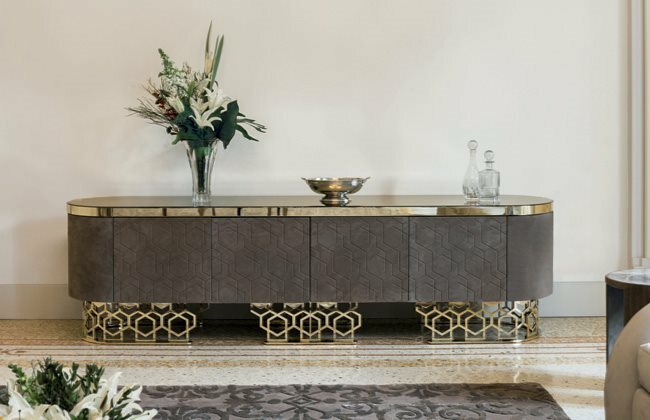 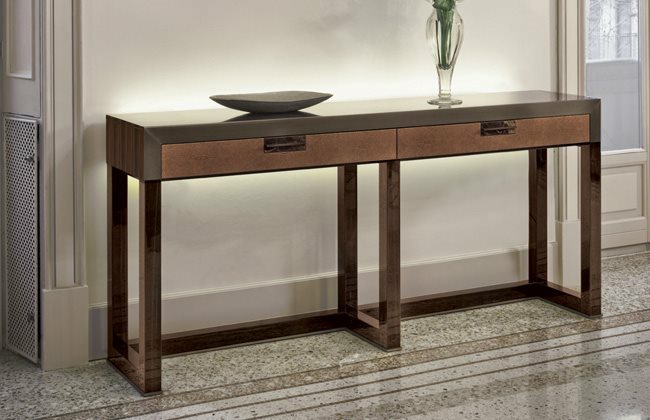 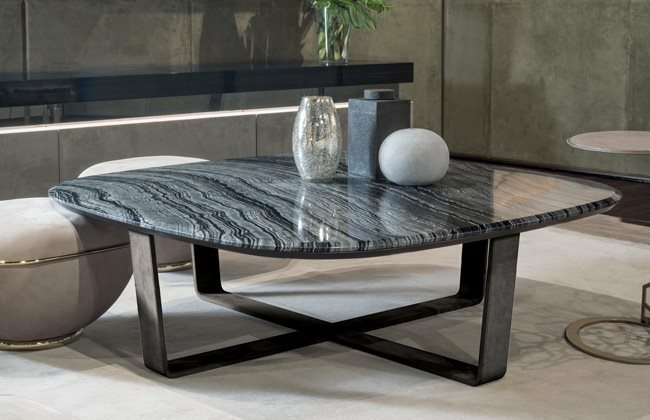 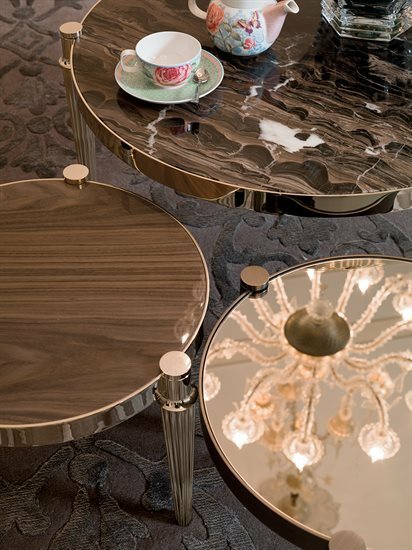 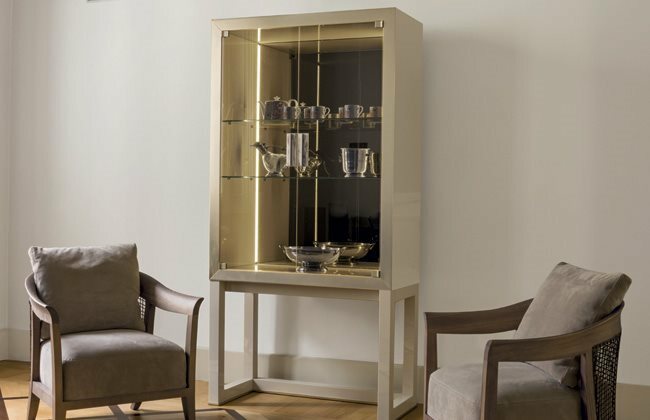 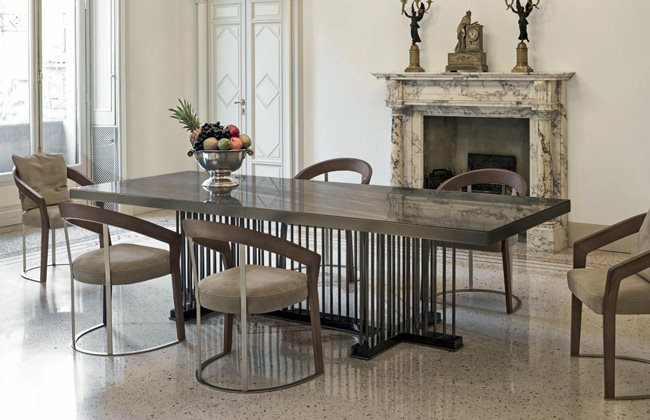 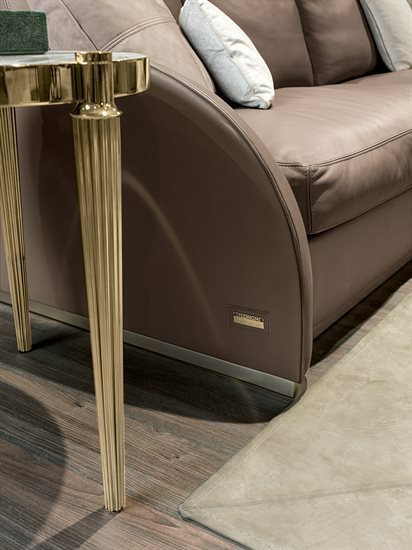 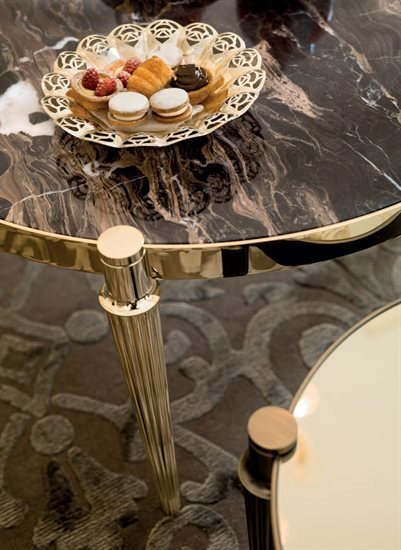 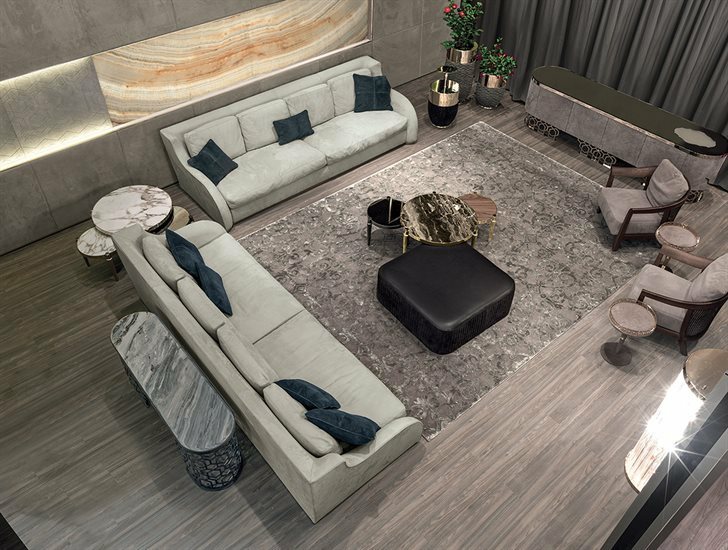 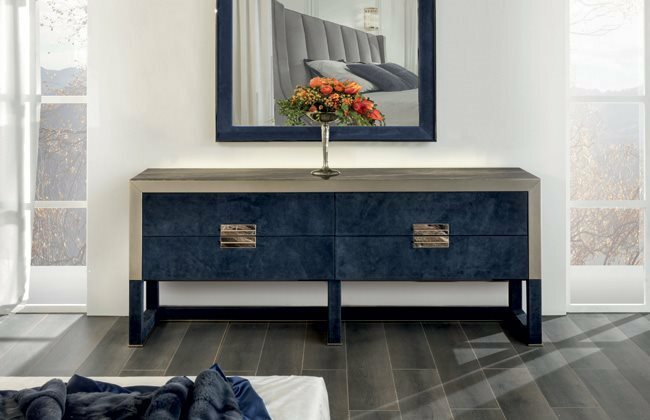 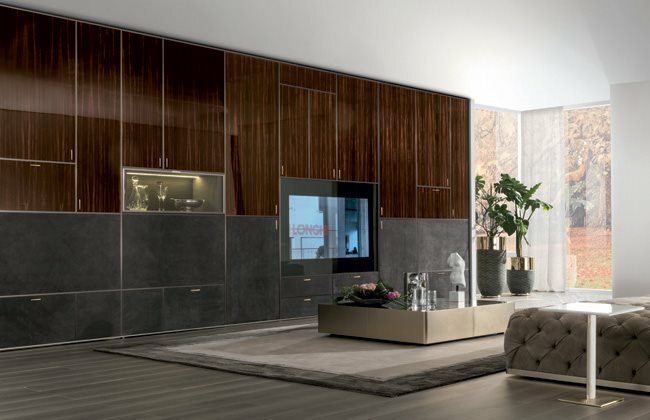 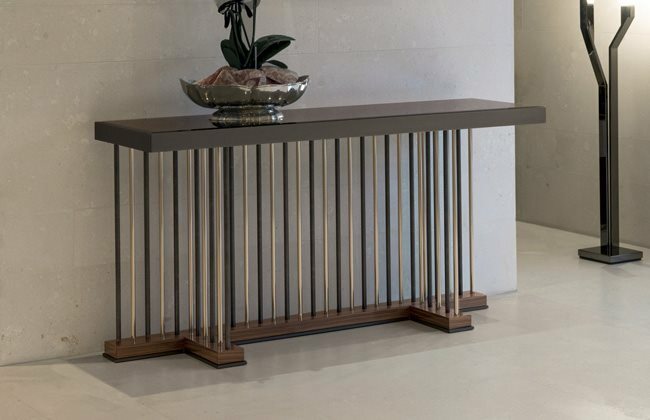 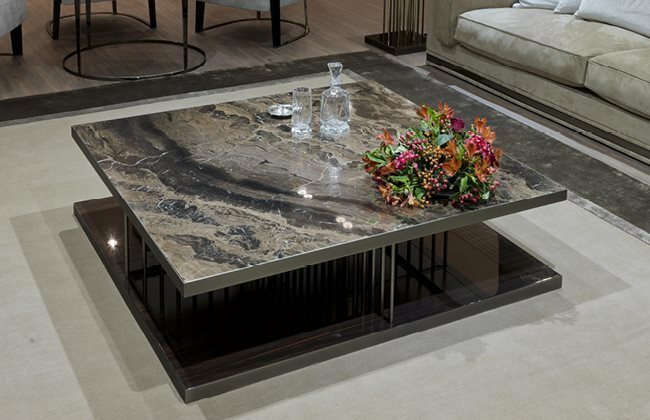 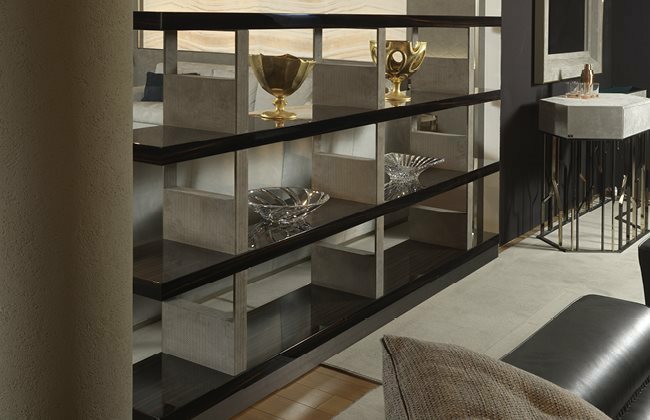 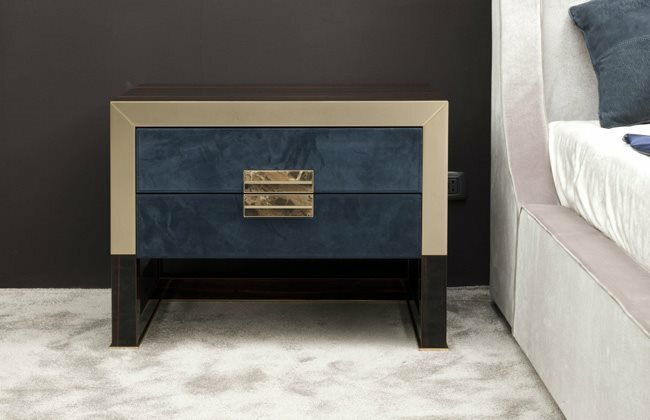 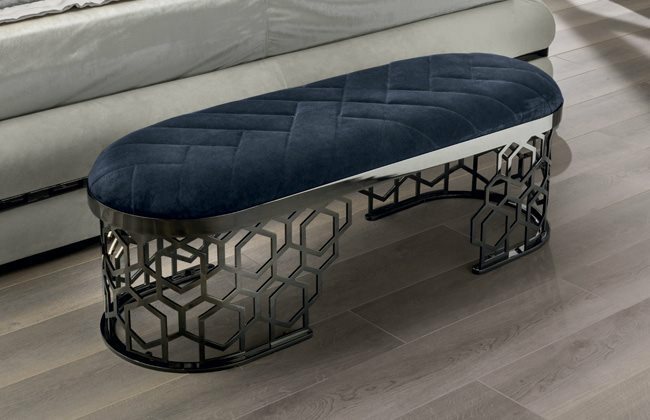 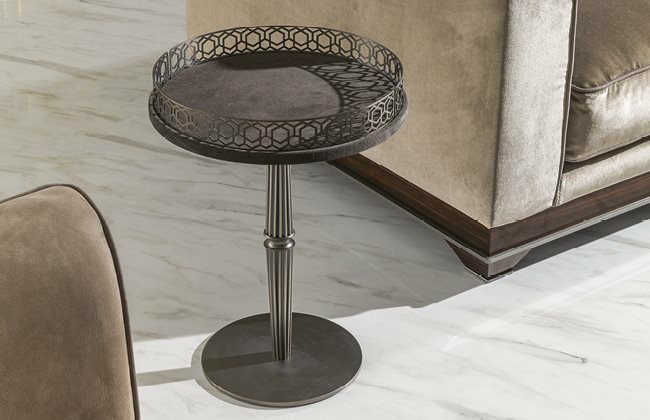 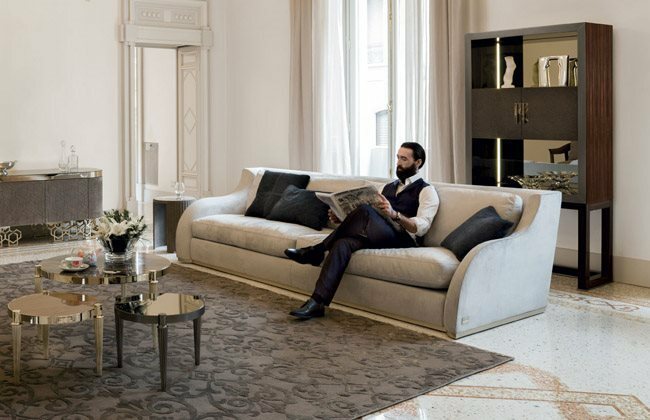 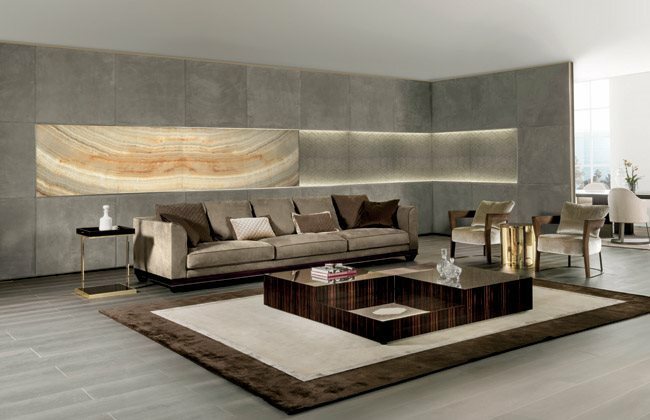 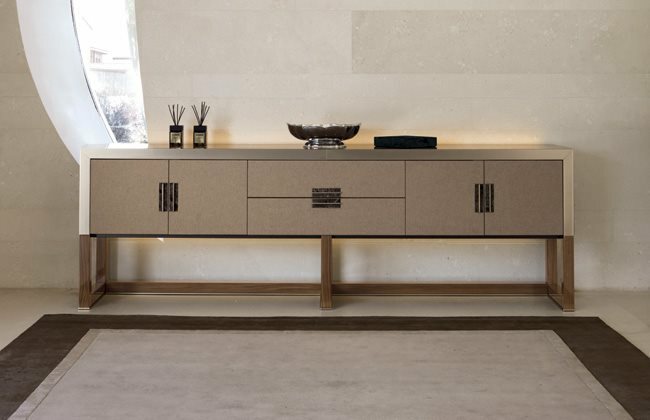 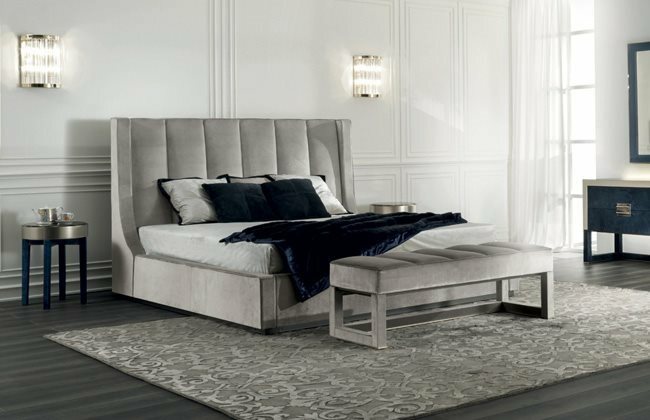 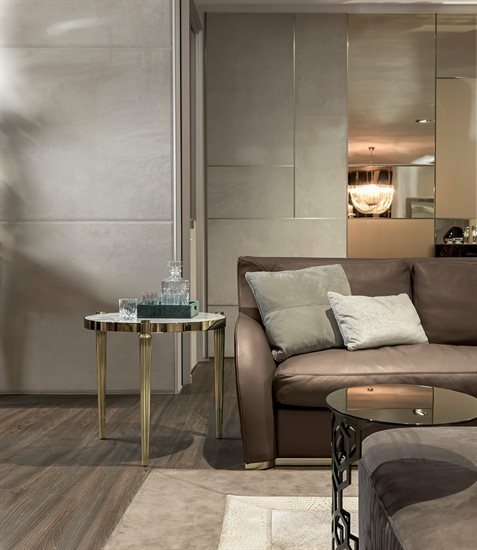 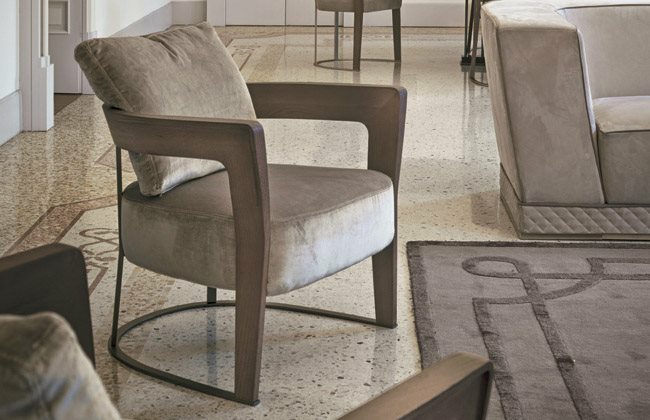 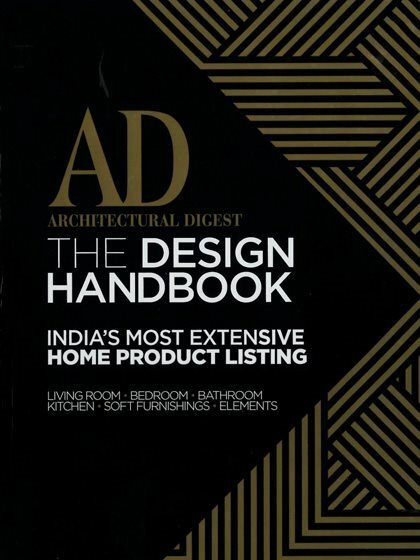 Top and surface finishes: glossy/matt ebony, glossy/matt Canaletto walnut, glossy lacquered ivory, bronze or smoky mirror, glass painted black, Port Saint Laurent marble, Rosso Levanto marble, Bardiglio Nuvolato marble, Elegant Brown marble, Shale Rosewood marble, Emperador Dark marble, Silver Wave marble, Port Black marble, Frappuccino marble, Calacatta Gold marble. 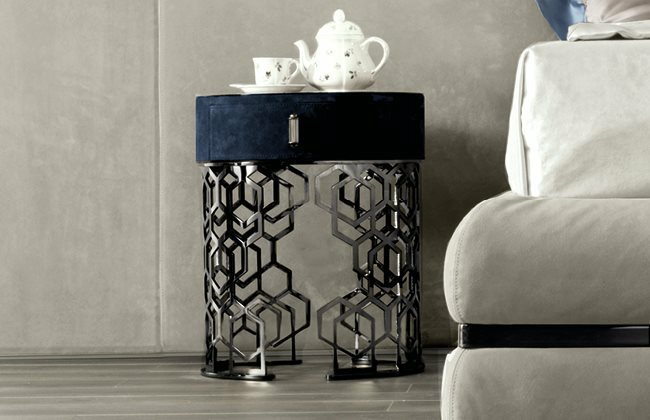 Pouf with wooden structure covered with medium density polyurethane foam. 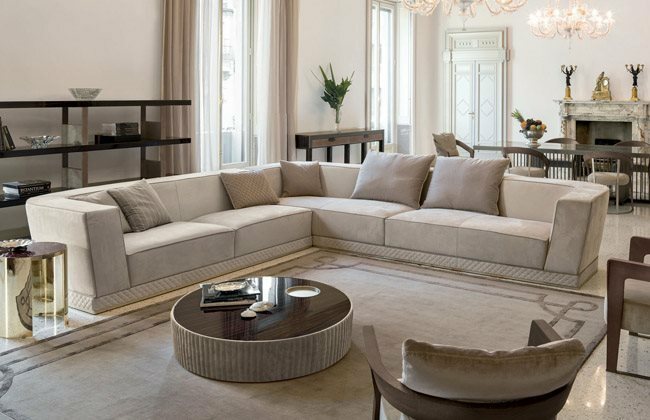 Leather or fabric up- holsteries are not removable. 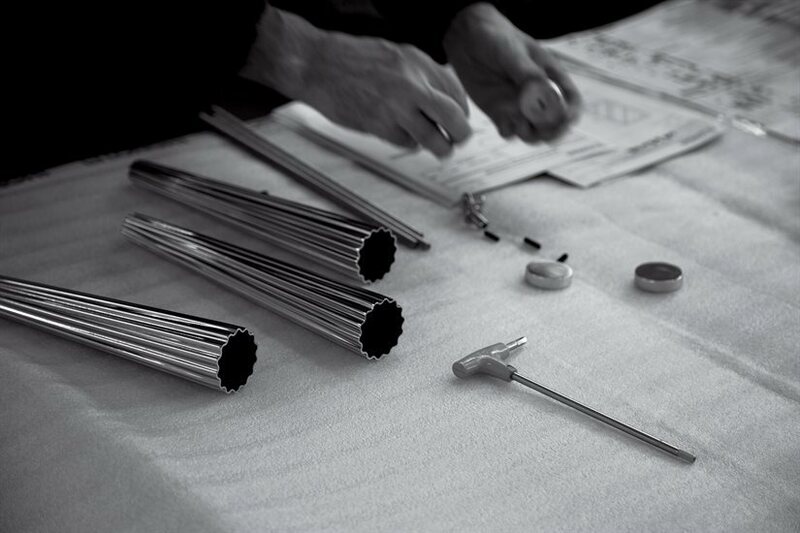 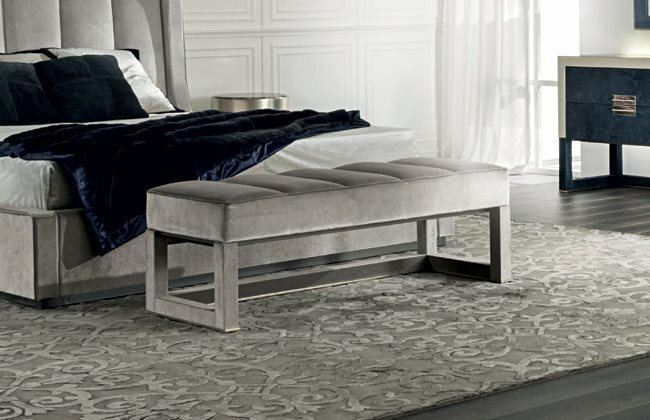 The lateral covering can be plain or vertically quilted.